This two week trip will bring you to the highlights of Vietnam & Myanmar, which include: Saigon - Mekong - Hoi An - Hue - Ha Long bay - Bagan - Madalay, together with the interesting history, culture, ethnic diversities and friendly people & excellent services. Xin Chao - Welcome to Saigon. Upon arrival at the airport, you will be met and transferred to the hotel, where you will be offered a welcome drink and get the tour briefings. The rest of the day is at your leisure. After breakfast you will take an in-depth tour of the most interesting sites in Saigon City. 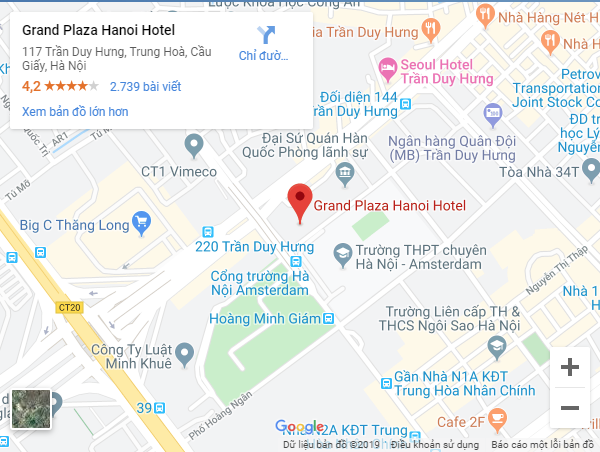 Today’s experiences include: Cu Chi Tunnels – The War Remnant Museum – Reunification Hall – Notre Dame Cathedral and The Central Post office nearby – Ben Thanh Market. Afterwards return to the hotel. The rest of the day is at your leisure. Today you will take a 3 hour drive to Ben Tre. Upon arrival, you will: visit a brick factory – board a traditional style boat for a scenic cruise along the Mekong River – make some stops at local houses along the way – hope on bikes for a leisurely ride through the countryside – lunch in a traditional Mekong village restaurant - board a motorboat to explore more of the Mekong Delta. Afterwards return to the car for your transfer to Cai Be. The rest of the day is yours! You are up early for an early boat ride - visit the Cai Be floating market – visit the traditional cottage industry - return to the hotel for breakfast – board your car for your transfer back to the airport for the flight to Da Nang. Upon arrival in Da Nang, you will be met and transferred to Hoi An. Check in the hotel for refreshments before a delicious dinner in the ancient town. The rest of the day is yours. After breakfast, you will take an in-depth walking tour of the most interesting sites in Hoi An, which include the Japanese Covered Bridge, Chinese Assembly Halls, Tan Ky Ancient House, and The vibrant market. Afterwards enjoy your lunch in an authentic restaurant. After lunch, there will be some free time for you today as it is the jewel in anyone’s visit to this ancient town. You may like to unwind at one of the most beautiful beaches or simply wander the street stalls selling paintings, woodwork, ceramics, lanterns and much more. This ancient city is also well-known for its talented tailors who can make beautiful items to order within a few hours. Bring your favorite piece of clothing, or even just a picture, and you'll be able to have it copied. After breakfast you will drive north along the coastal road toward Hue city. Along the way you will: visit Marble Mountain - Cham Sculpture Museum - stop at Red Beach II (where the US Marines made their famous amphibious landing 1965) - Nam O Bridge - head up the Hai Van with a stop at the top of the Pass to explore old French bunkers and take in a parting view of Da Nang and the bay. After the pass, you will proceed to Hue city. Upon arrival in Hue, check in the hotel. The rest of the day is yours. You will take a 4 hour drive on a countryside road through the paddy fields to Ha Long Bay, one of New Seven Natural Wonders. Upon arrival at the harbor, you will board a traditional boat – set sail through the limestone islands – have a nice seafood lunch – take a sampan ride to visit a traditional fishing village – attend a short cooking class - settle down on the upper deck for some drinks whilst watching the sunset – enjoy a delicious dinner. The rest of the day is your leisure. Why not play cards, try your luck at fishing, watch movies or simply enjoy some drinks and chat with your friends at the bar on board.